Paul MacCotter MAGI has contributed a chapter on the early history of north Kildare, featuring his work as an historical geographer, to Making Christian Landscapes in Atlantic Europe (Cork University Press, 2016). 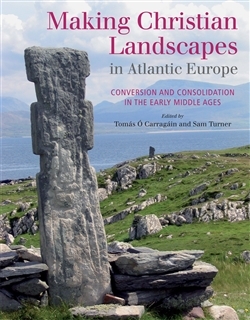 The book concerns the fabric of the medieval church in Ireland, Britain, France and Spain during the early medieval period (c AD 400-1200) and its impact on how landscapes were inhabited and managed. More at the publisher’s website.